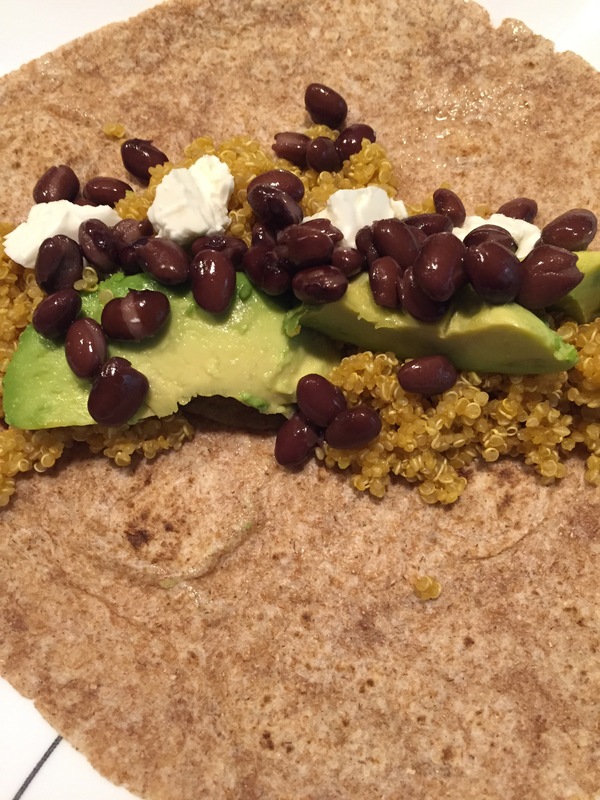 Vegan Wrap w/ Quinoa Bean Avocado & MORE! You want a vegan friendly, vegetarian and/or a plain healthy meal? Here it is! Recently, I’ve been making a lot of vegan food; I love it!! This is so simple and with just 7 ingredients. Heat small sauce pan on high adding the broth and bring to a boil. Rinse the quinoa in a sieve, add to the boiling broth and reduce to medium low heat stirring frequently for about 5 minutes. Remove the pan from heat and put the lid on until the rings appear. Rinse the beans in a strainer. Lay out the wrap, add all ingredients and wrap it up. 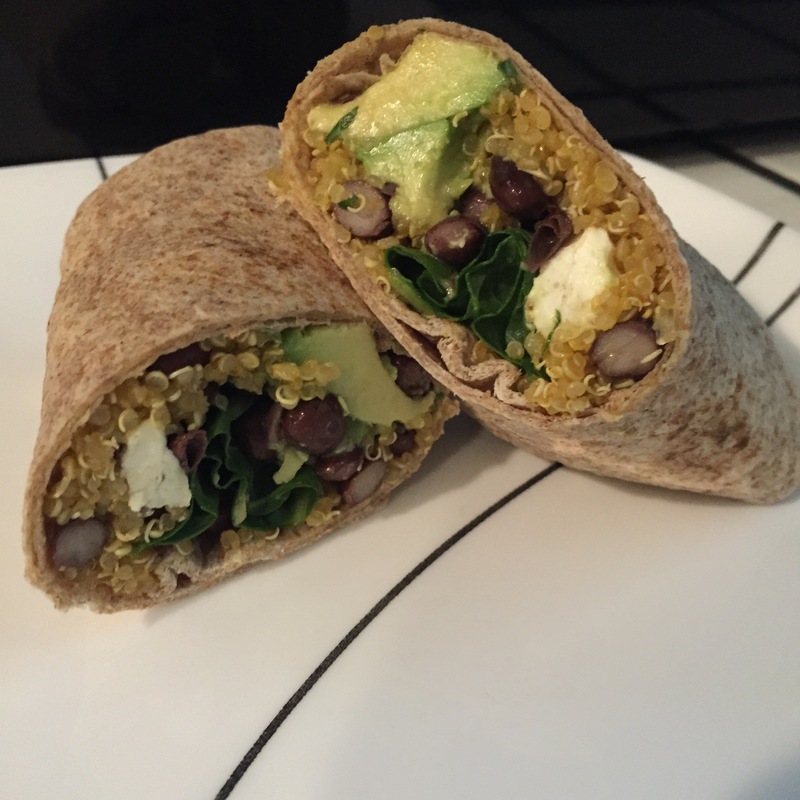 Quinoa in a wrap…hmmmm…I like that idea. And anything with black beans is a winner. Looks tasty and uber healthy!